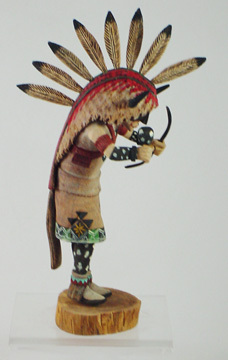 The magnificent headdress of feathers Tawa wears encircles his face hidden by a colorful round mask. 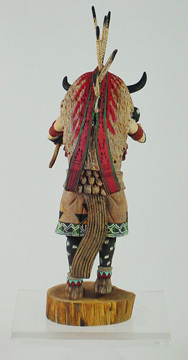 The mask is split between a blue bottom half and the top that is vertically split into orange and yellow halves. 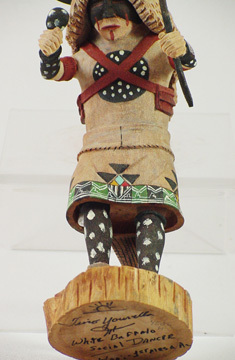 The dancing figure wears a white skirt topped by a brown belt. 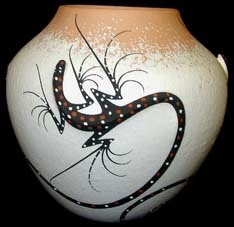 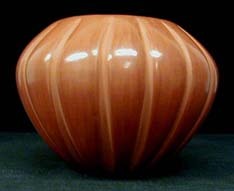 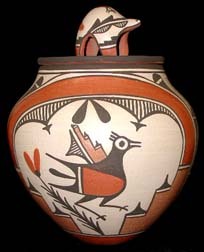 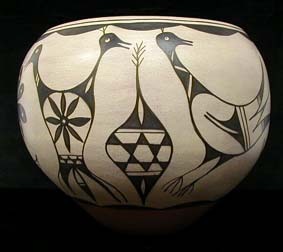 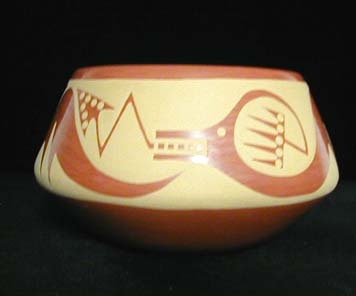 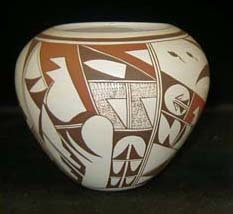 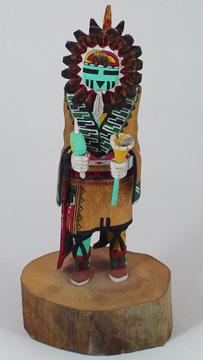 The spruce tree, bell and flute are elements described in the myths told by the Hopi people. 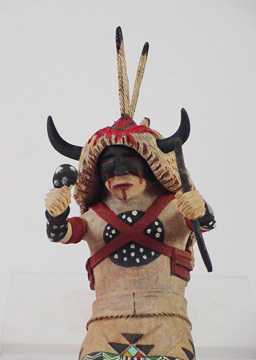 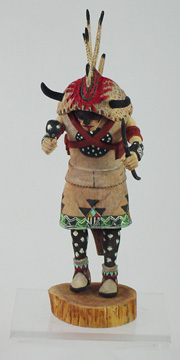 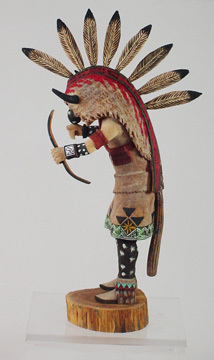 The Sun Kachina Doll is a valuable piece to add to any collection of Kachinas.